This hunting sporran is perfect for more casual events such as parades. Made of high quality durable leather, this sporran is tough enough to stand up to regular use in all types of weather. 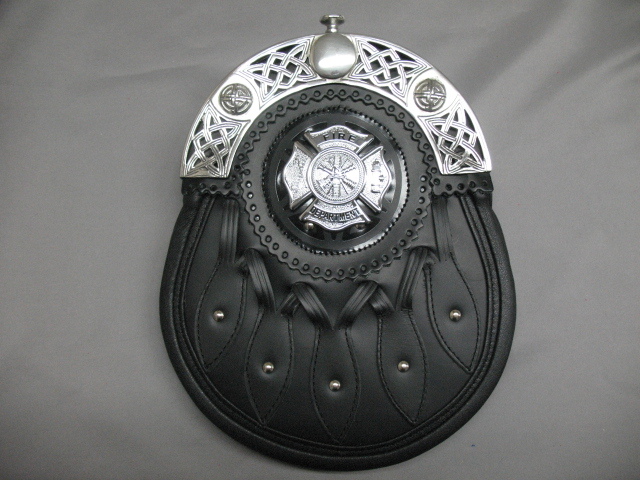 Comes standard with our generic Fire badge mounted on the flap. You may provide us with your departmental badge and we will mount it during the manufacturing process.Custom red accent may be installed by request for no additional charge.